You may not have seen Anne Dudley on screen, but her work on Poldark is as important as any actor's. Anne is the multi award winning composer who scored the evocative soundtrack for Poldark. Anne has had a hugely successful career in music. She studied at The Royal College of Music before embarking on a long and successful career, composing the soundtracks for dozens of films and television series (The Full Monty, Jeeves and Wooster and most recently Billionaire Boy are amongst her many credits). Anne has also worked as a producer, has released three albums of original classical music as well as the many soundtracks she has written, and has worked in pop music, playing and arranging music for the likes of Robbie Williams, Seal and Elton John. 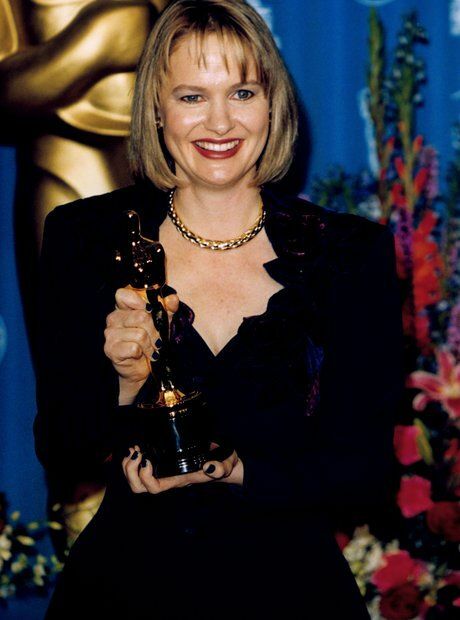 Anne has had much critical acclaim over the years.She won an Oscar for Best Original Musical or Comedy Score for The Full Monty in 1998, a film for which she also won a BRIT Award. Anne won a Grammy for Best Rock Instrumental Performance in 1986 for Peter Gunn and was the first BBC Concert Orchestra's Composer in Association in 2001. In addition to this she has had much commercial success (most recently the Poldark soundtrack entered the classical charts at number 2), was made a Fellow of The Royal College of Music in 2004 and awarded an honorary doctorate from the University of Kent in 2011. 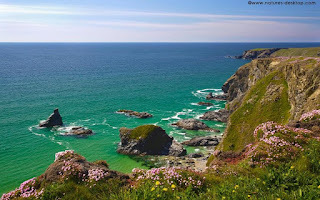 The Poldark soundtrack captures the beauty of the Cornish landscape, the wild rebellious nature of Ross Poldark and the romanticism of the story. It beautifully compliments the struggles, hopes and loves of the characters on screen. We were therefore delighted when Anne agreed to answer some of our questions. Poldarked: You said at The Royal Television Society’s Anatomy of a Hit lecture you approached Mammoth Screen about composing the score for Poldark. What made you want to compose the score so much? Anne Dudley: At first, all I knew of Poldark was that it was a stirring tale set in Cornwall in the 18th century. What really got me interested were Debbie’s amazing scripts which brought the setting and characters vividly to life. 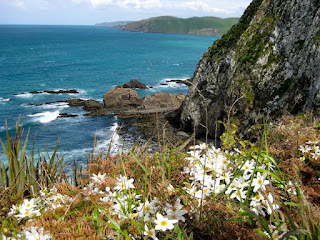 I knew then that this was something I could do – exploring my penchant for “Englishness”, romanticism and history. 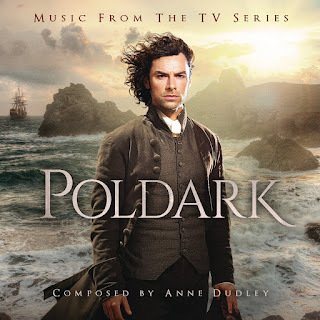 P: Which track or theme from the Poldark soundtrack is your favourite and why? AD: I have a particular liking for the “Resurgam” theme. Francis is forced to close the mine and chalks the word on a blackboard. Throughout the scene it is Elizabeth who emerges with dignity and grace. 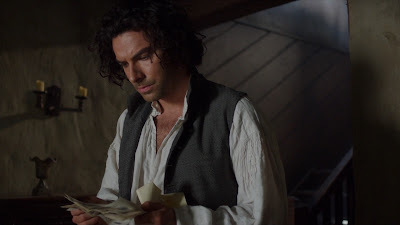 Ross explains to Demelza that the word means “I shall rise again”. 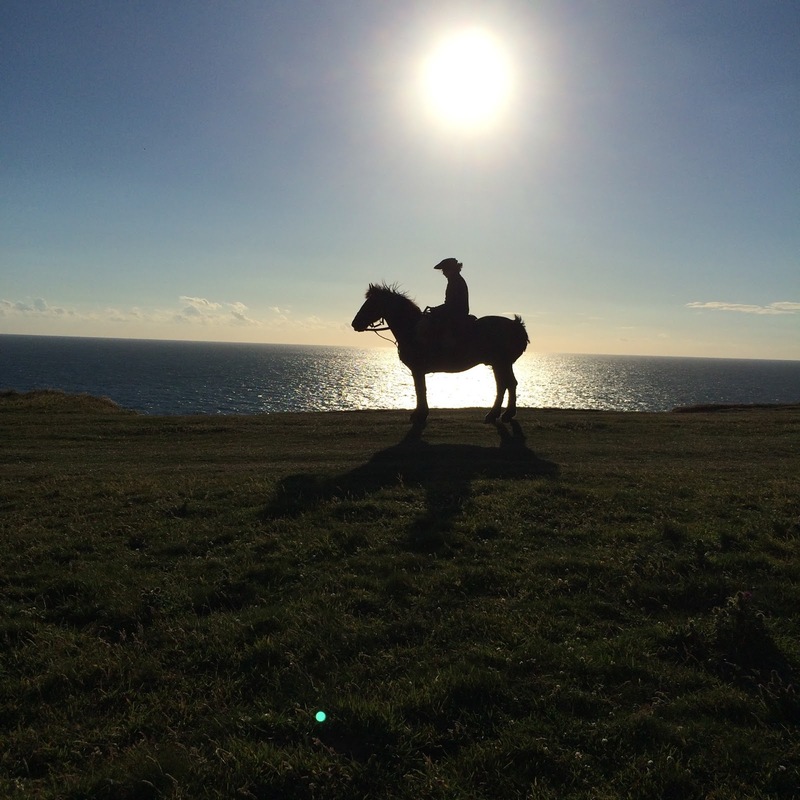 This seems to be a recurring theme of Poldark – resilience in the face of overwhelming odds. Musically I like the long solemn melody and the throbbing bass line. 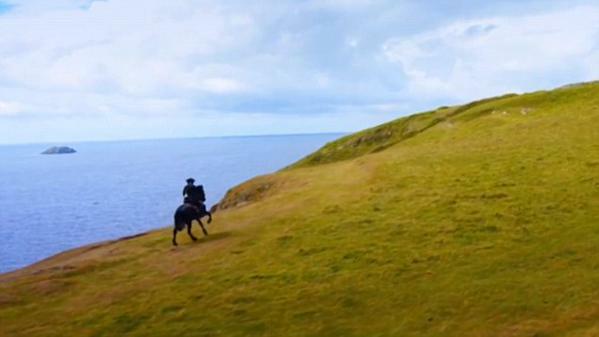 P: Which track or theme from Poldark was the hardest to compose and why? orchestra might represent the character of Ross – fighting against the conventionality of his upbringing and class. We had several versions of the theme – at one stage it was much slower. 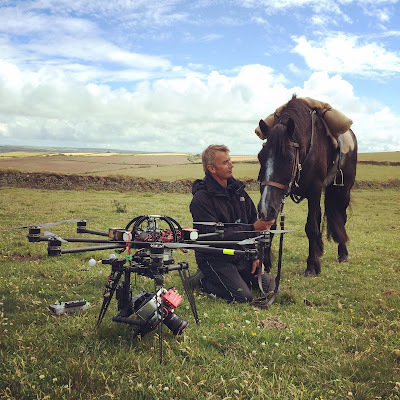 P: How much detail did the production team give you in their brief and how much freedom do you have to do what you want with the music in a production like Poldark? AD: There’s lots of detailed discussion about what the music should do – where it should occur etc. In the end though it’s down to me! As I thought it would be it’s exactly my sort of thing – romantic, thematic, pastoral, sometimes quite dark and stirring. P: You’ve said you write at the piano, but once drafted, is the music you write all played again by other musicians? Or do you use emulations or mixture of the two? AD: I compose at the piano, do some demos on synths and samples in order to have discussions with Damien and Karen (producers) and then orchestrate it for piano, harp, solo violin and string orchestra. P: Do you write all the music for Poldark from scratch or do you rely on ideas you’ve already got? AD: Some themes reappear. 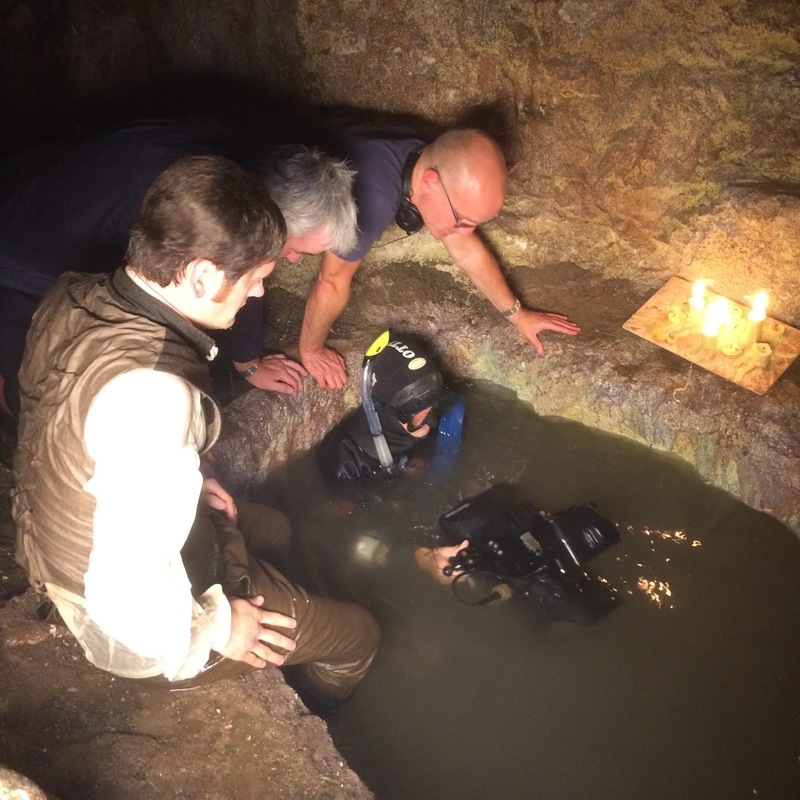 Some are associated with particular emotions, but for each episode I tailor every cue to the scene. P: What can you tell us about the score for series 2? Are you introducing many new themes? AD: There are some new themes as new dramatic threads arise. P: What qualities do you think make a good composer of scores for film and television? AD: Versatility, adaptability, a thick skin, patience, resilience and an ability to work on your own for ages! P: You have won an Oscar, amongst other accolades, but what do you consider to be your best work and what else would you like to achieve? AD: I try and make the thing I’m working on at any given moment the best thing ever. It’s what keeps me going! There’s always more to achieve. Anne is currently working on the soundtrack for Poldark series 2. 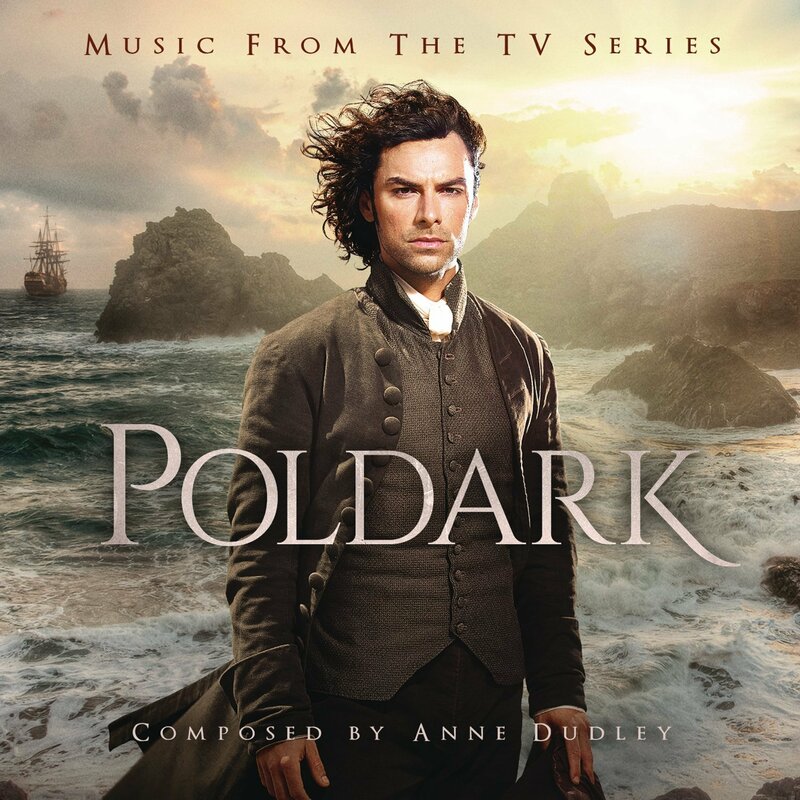 Buy the Poldark soundtrack here. 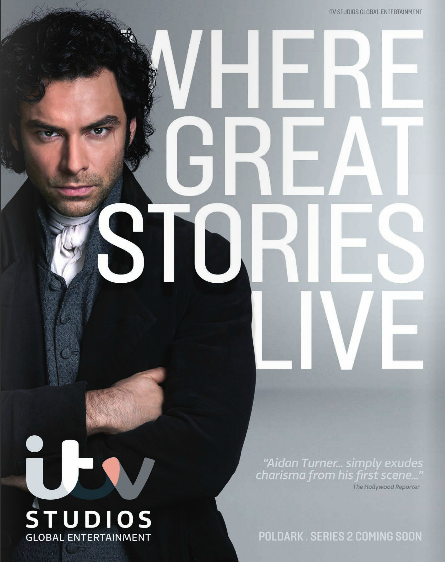 Find out what Anne had to say about Poldark at The Anatomy of a Hit lecture at the Royal Television Society. 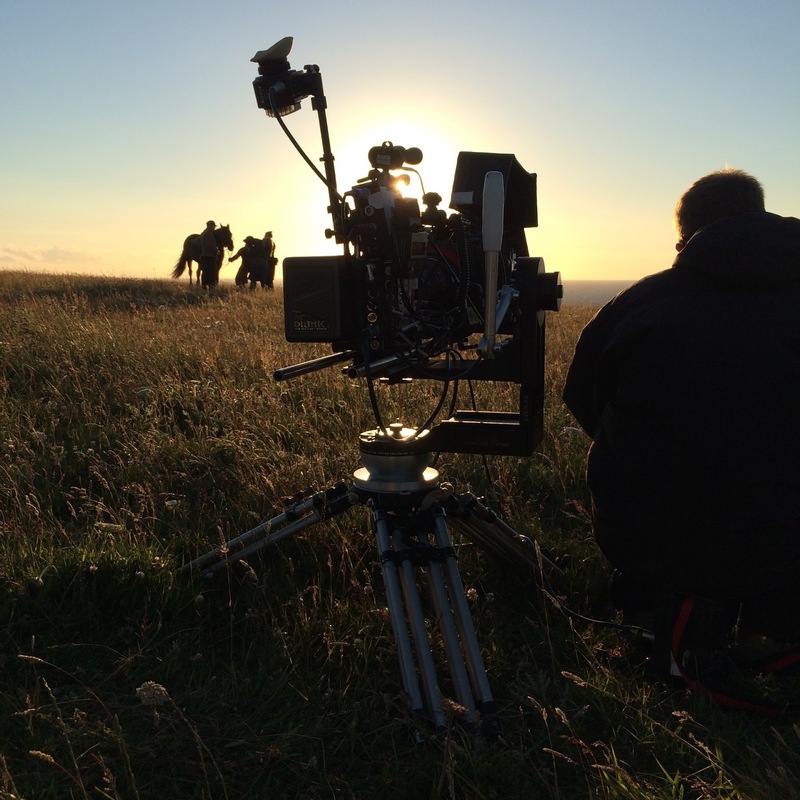 The news coming out of the PBS Masterpiece official page for Poldark is that the show will air in the fall 2016! Bruce Kohl, a moderator on the Masterpiece site, has responded to a request for news saying, 'Poldark Season 2 will air in the fall of 2016. Last month BBC's controller of TV channels, Charlotte Moore, said that Poldark would return to screens in the UK in September. 'Would women find Aidan attractive?' was one surprising revelation from the Poldark Panel at the Royal Television Society's Anatomy of a Hit last Thursday, but there were plenty of other interesting snippets to be had too. 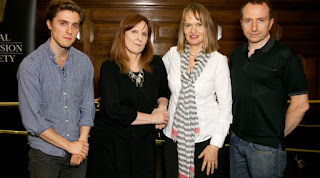 I'd expected an evening of some, now familiar, stories of the writing and production of the show, but the addition of composer Anne Dudley and actor Jack Farthing to the panel brought some new insights, of which Anne's story of executive producer Damien Timmer's question about Aidan Turner was only one. But more of that later. 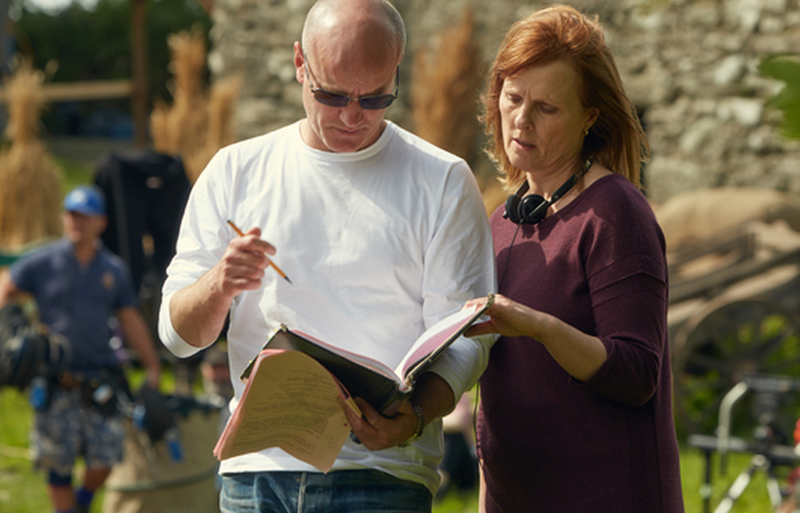 As you'd expect, writer Debbie Horsfield continued to have a lot of input into Poldark as it was being made and, although she was not on set as much for the filming of Series 2 as she had been for Series 1, she was always pleased to receive telephone calls and e-mails from the actors about their characters. Jack, in particular, often emailed her. Debbie said she was looking at books five and six in case Poldark is commissioned for a third series. Interestingly, this was the third time in a week I'd heard people involved with the making of Poldark talk about Series 3 in this way - the others being Jack Farthing and Robin Ellis - and it made me think everyone was on message after Aidan's gaff earlier in the year about starting to film S3 in September. Anne Dudley told of how keen she was to compose the soundtrack for Poldark so persuaded her agent to get the scripts, how she composes at the piano and how she finds abstract themes more useful than ones for characters. She said that, in the theme tune, the piano represents the waves and the lone violin represents Ross standing out against his upbringing. Francis and took some persuading to see himself as George Warleggan. 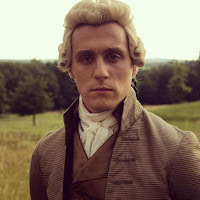 He said that as George's appearance is so important to him, the actual process of make-up and costumes helps Jack get into the role of George prior to filming. Jack himself is extremely affable and I'm sure he made a few new fans in the course of the evening. 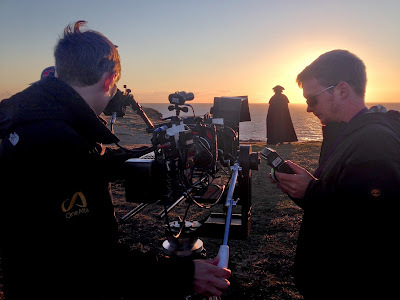 Mammoth Screen held the rights to Poldark for some time before they started to produce the show and it was interesting to learn from Damien Timmer that he was in contact with Aidan Turner's agent for several months before Aidan was offered the part. 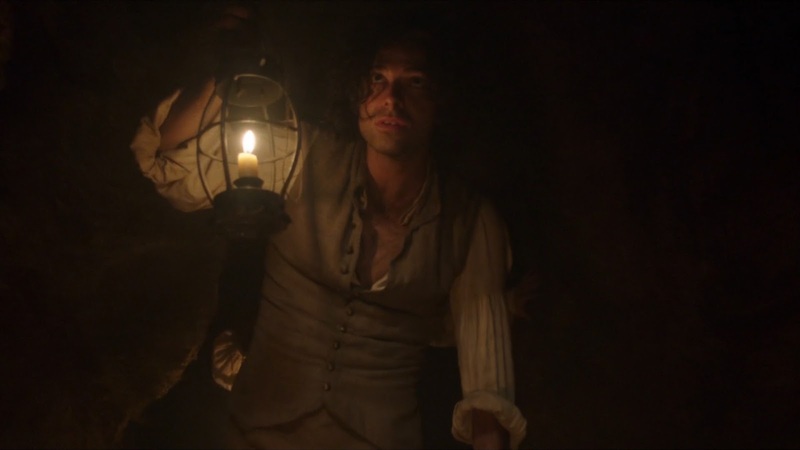 Understandably, producing a big hit like Poldark doesn't mean there aren't anxieties about the second series and there's certainly no complacency here. Both Damien and Debbie described the thought of the new season as 'daunting' and Jack called it 'a nice scary'. 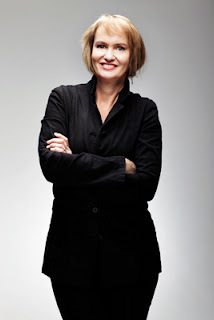 Anne Dudley's story of how Damien Timmer checked with her that women would find Aidan attractive was met by the audience with a mixture of laughter and stunned disbelief but really it gives a good indication of the level of anxiety that producers of shows go through. Oddly enough, one of the highlights of the evening was the screening of four clips from Poldark S1. Almost certainly all the audience had seen the show and most will have watched the DVD - probably more than once - and yet the power of seeing the clips on the big screen was breathtaking. It was particularly noticeable with the 'let it be true' clip where, as it ended, the stillness of the audience was perceptible. I was sure everyone was holding their breath. Debbie said this scene was so important that she gave strong directions in the script for each movement and every sound. 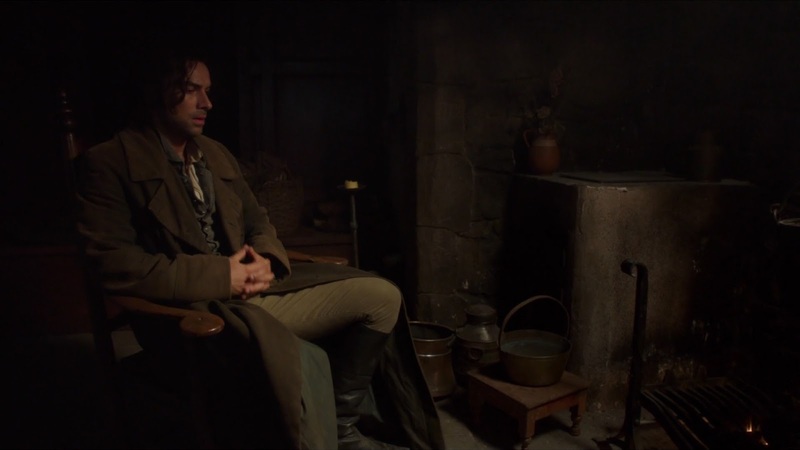 Debbie chose this clip while Jack selected the scene where Ross reveals Sansom to be cheating at cards and Anne chose 'Resurgam'. Damien's clip was Demelza singing at Trenwith at Christmas and he revealed that, admirably, this was the very first scene Eleanor shot. 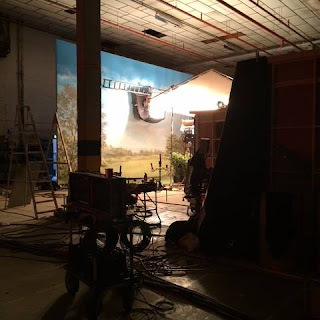 Such was the pleasure at seeing these clips that one can't help hoping that Mammoth Screen will put on a Poldark Marathon at a cinema and show all eight episodes on the big screen before the start of Series 2! Finally, just to get us ready for the continuing saga, chair Boyd Hilton, said he had seen a clip of S2 and that it was 'amazing'. 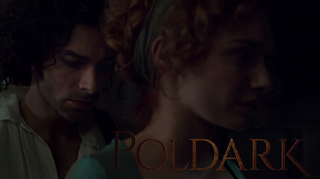 Congratulations to Poldark, Eleanor Tomlinson and Aidan Turner on their nominations for the Golden Nymph Awards at the Monte-Carlo Television Festival 2016. Now in its 56 year, the Monte-Carlo Television Festival celebrates the best in global television programming. 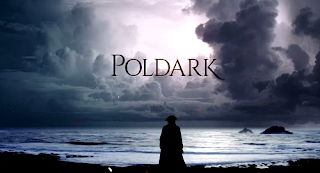 Poldark is nominated for Best Dramatic Series and is up against Code Black (USA), Deutschland 83 (Germany), River (UK), The Man in the High Castle (USA) and Trapped (Iceland). Eleanor Tomlinson is a contender for Best Dramatic Actress for Poldark. The other nominees are Maria Schrader for Deutschland 83, Marcia Gay Harden for Code Black and Nicola Walker for River. In the category for Best Dramatic Actor Aidan Turner (Poldark) finds himself pitted against Jonas Nay (Deutschland 83), Olafur Darri Olafsson (Trapped) and Stellan Skarsgard (River). The winners of the Golden Nymph Awards will be announced at a ceremony in Monaco on 16 June, 2016.